It’s true! 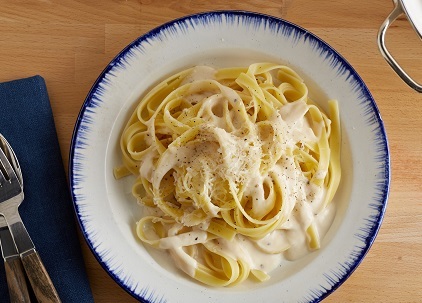 If you master this restaurant sauce recipe for classic Alfredo Sauce, you’ll be able to cook literally dozens and dozens of other great tasting recipes with no difficulty in your own kitchen. 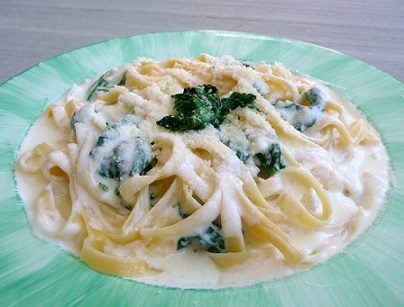 Once you have the garlic cream sauce, to make an Alfredo pasta (like the one pictured) all you do is add the sauce to the cooked (al dente) pasta. The sauce is used for many sautés and pastas. 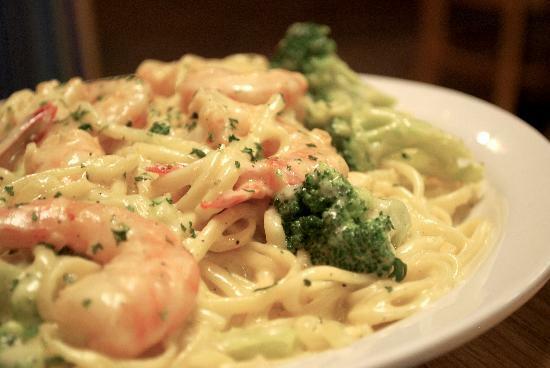 Pasta and Seafood "love" to be “married” with this restaurant classic garlic cream sauce. Preparation time: about 45 minutes. Number of servings: one quart, about 10 servings. Use 4 ounces of sauce for every 6-7 ounces of cooked pasta. That’s it! You've completed a masterpiece! If you are using the sauce immediately, simply pour or ladle sauce over hot pasta in a pasta bowl and garnish with freshly grated Parmesan cheese. However, if you do not use the Alfredo Sauce immediately, you must refrigerate it in a shallow pan (2” deep - maximum) uncovered until cold. Once cold, you can transfer it to a deep container. This is the method you should use to cool all your hot liquid food items. When you are heating a cold sauce, stir the sauce all the way to the bottom of the pan to evenly distribute the seasoning before using. 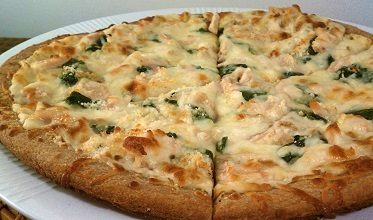 To reheat: use 4 ounces of sauce for each serving of 6-7 ounces of cooked pasta. Place the sauce in a 10 inch skillet over medium heat until it comes to a simmer. Add the 6 ounces of pasta for every 4 ounces of sauce you are simmering. Cook until the pasta and sauce are heated through. Add the 6 ounces of pasta for every 4 ounces of sauce you are simmering. Cook until the pasta and sauce are heated through. Thank you for “finding” the website. 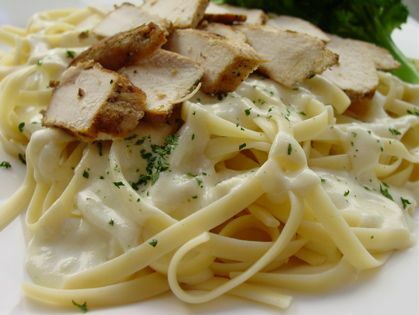 Please "click around" for more customer-tested, customer-approved restaurant recipes like this Alfredo sauce. Enjoy your classic sauce recipe and the company of those you share it with.